Unique table with removable planter that can hold variety of plants. 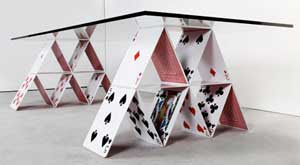 Creative table designed by Brazilian architect Mauricio Arruda. 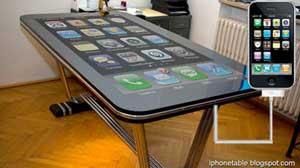 Cool table allows you to control an iPhone with a large touchscreen. Oak wood table inspired by the tectonic fault that lies between the Pacific Plate and the North American Plate. 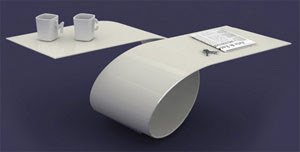 Unique coffee table inspired by the spiral shape of roller coasters. 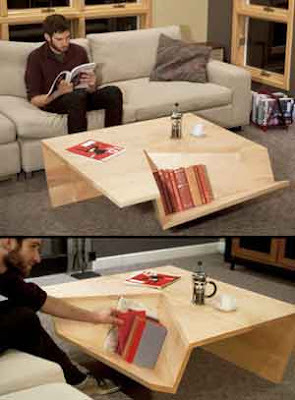 Coffee table with integrated bookshelf designed by David Pickett. 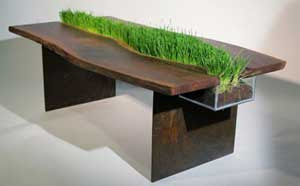 Coffee table where recycled wine bottles are used as table legs. 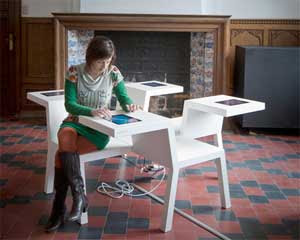 Salsa table features seating for four people along with four iPads. 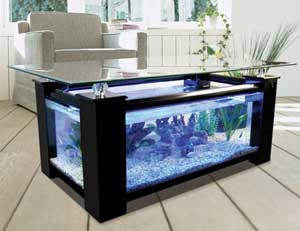 Beautiful coffee table comes with large built in aquarium. 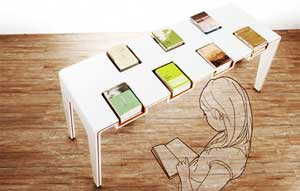 Exhibi table has storage compartments for books and magazines. 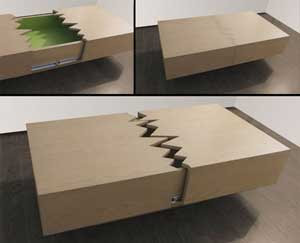 Orea coffee table designed by Svilen Gamolov from Bulgari.